Our 10 day deluxe package is designed to show you the best that Tasmania has to offer in 10 amazing days. Choose to start in Hobart or Launceston, this package will take you to iconic sites such as Wineglass Bay, Cradle Mountain, Port Arthur and MONA, where you can taste our delicious food, drink our luscious wines and our smooth whisky and check out our nature and wildlife. Launceston’s own piece of wilderness just 15 minutes walk from the city centre. Here at Cataract Gorge you’ll find panoramic lookouts with spectacular views. Cradle Mountain is a part of Lake St. Clair National Park, one of 5 parks that form the Tasmanian Wilderness World Heritage. Dove Lake is located in the iconic Cradle Mountain – Lake St Clair National Park. You’ll find this 1940-built shed on the northwest shores of Lake Dove. Russell Falls is located in Mt Field National Park. Towards the falls, the track is framed by stunning tall tree ferns. Richmond is a scenic town boasting an abundance of heritage listed colonial buildings. It is nestled in the heart of the Coal River Valley wine region. 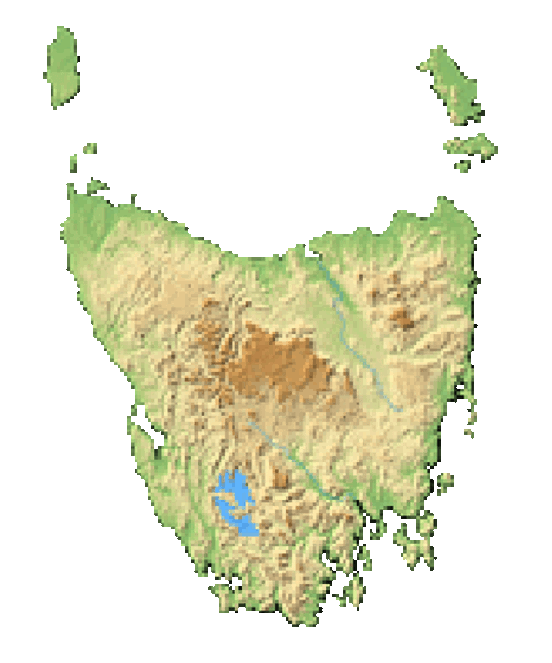 Tasman Island, located just off the south-eastern coast of Tasmania, is one of Australia’s most significant seabird islands. Wineglass Bay, one of the top 10 beaches in the world. It has graced the cover of many a glossy brochure for good reason it’s simply spectacular. Historic Campbell Town has an impressive collection of colonial buildings with many antique and speciality shops. The town is a service and supplies centre for travelers between Launceston and Hobart. Arrive Launceston, pick up rental car at airport. Includes unlimited kilometres, insurance, fees and taxes. Drive to Launceston City and visit Cataract Gorge and the downtown area. Drive along Tasmania’s wild North Coast and visit the seaside towns of Penguin and Burnie before getting into the UNESCO world heritage area of Cradle Mountain. As an optional extra, get close to our iconic animal the Tasmanian Devil during an after dark feeding tour at the local sanctuary. Explore the many walks of the Cradle Mountain National Park. Visit Dove Lake before heading west via old mining towns to the quaint fishermen’s village of Strahan. Explore the Montezuma Falls and the Ocean beach which is visible from space. As an optional add-on join the Gordon River Cruise in the captain’s upper deck cabin including lunch and all drinks and get way out into the wilderness. Spend the afternoon walking on the beach or taking one of the many forest walking trails. Traverse the island and travel through alpine regions. Stop at the ‘Wall in the Wilderness’, breath the freshest air and unwind yourself from everything. Visit Russell Falls and Tall trees at Mount Field National Park before arriving into Tasmania’s capital city Hobart. Explore the city of Hobart. Taste the local Tasmanian produce in the Huon Valley and get thrilled at the Tahune Airwalk while walking high in the trees on multiple swinging bridges. Witness amazing seascapes and coastlines on an optional 3 hour-Tasman Island Adventure Cruise. See the majestic sea life and the rugged cliffs on the Tasman Island. Continue your journey up to the sunny east-coast with destination Freycinet Peninsula. Explore the stunning scenery from the water while joining in on the optional extra of a half-day kayak tour to see Freycinet National Park and the stunning white beaches from another perspective. (Also, optional take the 4-hour Wineglass Bay Cruise). In the afternoon, walk up to the Wineglass Bay lookout or taste the freshest Oysters right from the sea. Leave Freycinet Peninsula and travel the Heritage Highway to Launceston. Stop at the historic villages of Campbell Town and Longford before returning your rental car at Launceston airport for departure.